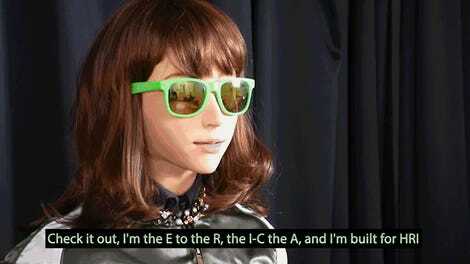 Robots are already coming for our jobs, and now it looks like they’re coming for our treasured cultural ceremonies, too. 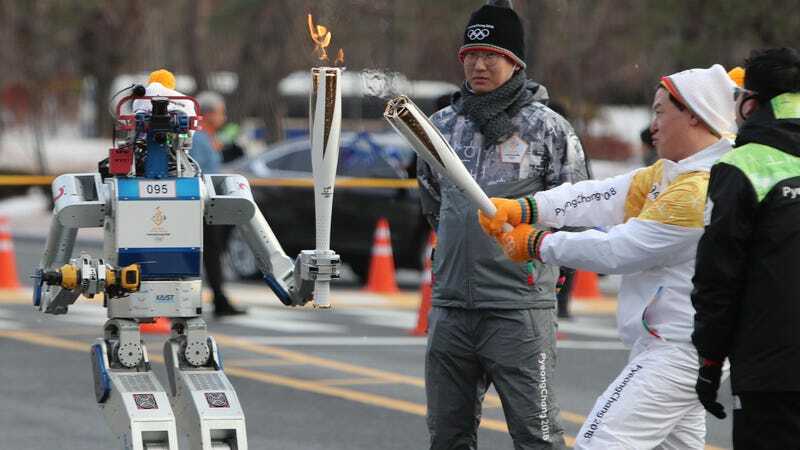 On Monday, the Korean Advanced Institute of Science and Technology’s Hubo robot carried the Pyeongchang 2018 Olympics relay torch for a stretch of the relay in Daejon, South Korea. Even more impressively, as shown in the clip below from Arirang News, Hubo used a tool mounted on one of its other arms to cut through a wall and pass the torch through, all without accidentally setting anything on fire. KAIST’s DRC-HUBO model beat out 22 other robots to win a $2 million DARPA Robotics Challenge award in 2015. The robot demonstrated it was able to maintain its balance and perform a variety of tasks including rotating valves and operating drills, even as other robotic contestants collapsed to the ground. Though Hubo may one day tire of using his powers to wield flames and cut through walls for these nice, friendly purposes, um, hopefully it won’t do anything rash.